Ng Cheuk-yin is a renowned composer, arranger and performer. His music flows seamlessly through the East and West, past and present while melting down borders between genres, representing the special culture of Hong Kong. Ng is Hong Kong Sinfonietta’s first Artist Associate, the Chinese University of Hong Kong’s (CUHK) first resident composer, a founding member of the a cappella group The Gay Singers and the founder of the fusion group SIU2. After receiving a post-graduate degree from the Music Department of CUHK, he went on to study at the International Christian University in Tokyo. In 2012, Ng received the Award for Best Artist from the Hong Kong Arts Development Council. 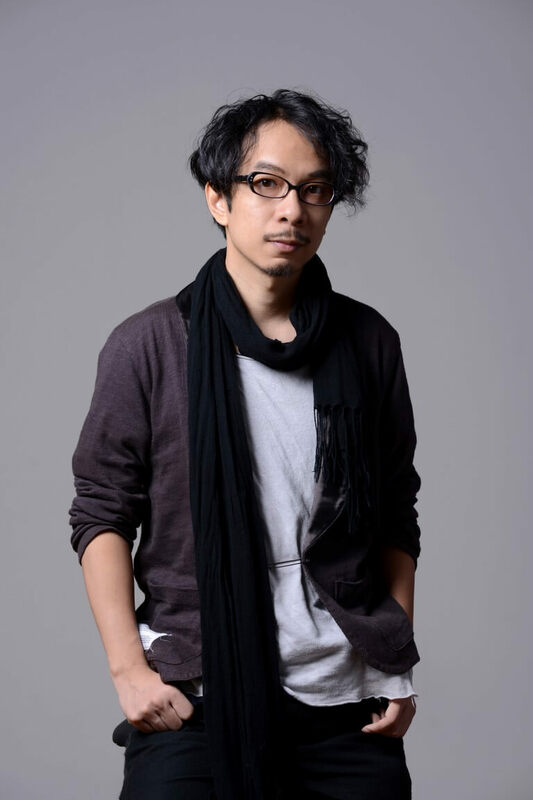 In 2009, Ng received a CASH Golden Sail Music Award (Best Serious Composition) for his theatrical choral work Rock Hard, which was later performed as the opening show of Hong Kong’s cultural programme in Shanghai EXPO 2010. In 2011, Ng released his solo a cappella album Single Singers which was instrumental in the promotion for this artform in Hong Kong. Listed among Time Out Hong Kong‘s Top 20 Musicians in 2008, Ng also won the 2008 Canto-pop Top 10 from Ultimate Song Chart Awards Presentation (Commercial Radio), the Best Broadcast Rate Award (Metro Radio Broadcast) and the 31st Top 10 Canto Pop Award (Radio Television Hong Kong) for his work Under the Sakura Tree written for pop singer Hins Cheung. Ng’s works range from chamber and orchestral works to electronic music; from rock music to musicals; from choral works to pop songs and music for crossover bands and ensembles. His works have been performed by artists and groups all over the world. Ng’s major large-scale works include Seventh Month (Hong Kong Chinese Orchestra [HKCO] at 2012 Hong Kong Arts Festival [HKAF]), Fly (Hong Kong Sinfonietta [HKS] at 2007 HKAF), Journey (HKCO’s 30th Season Opening), White (HKS at 2004 Saint-Riquier Festival and Les Flâneries Musicales d’Été de Reims in France), Static Days (Belgrade Philharmonic at 2003 ISCM Slovenia), etc. Other works include music arrangements for Paul Wong’s Rockestra Hong Kong Coliseum Concerts in 2012, Fly Me to the Moonlight (theme song, 2011 International Choral Jazz Festival), Singing Voices of the World (theme song, Global Outstanding Children and Youth Chinese Singing Festival), Jolly Mcdull on the Ferry, Pearl of the Orient Overture and Moving to City Tempo (Grand Variety Show in Celebration of the 10th Anniversary of HKSAR), music for Hong Kong – Equestrian Capital (2008 Beijing Olympics opening ceremony), Sheng It Up (2008 HKAF) and over 100 orchestral arrangements. As a guest lecturer, Ng has taught Orchestral Technique at the Music Department of CUHK. As a sheng performer and the leader of the fusion group SIU2, Ng has won high acclaims from audience, media and critics all over the world.